Well, I got around to playing another Humble Monthly game all the way through, so let’s to talk about it! No spoilers in this one! AER Memories of Old is the debut commercial release by Swedish indie studio Forgotten Key. 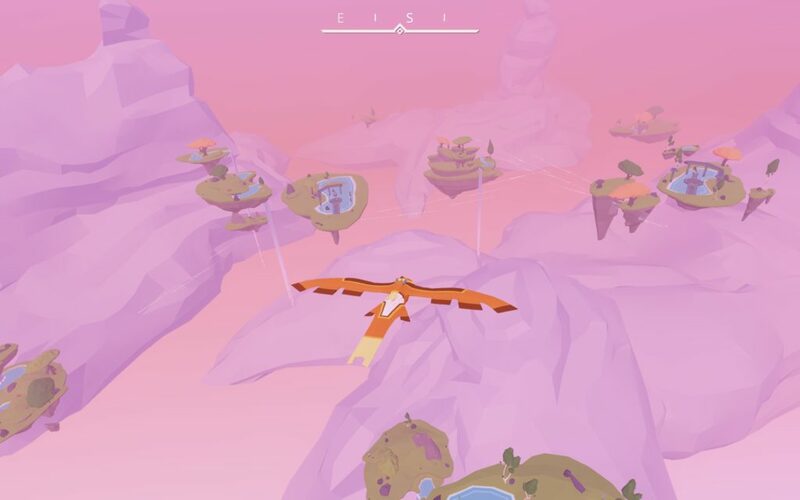 It’s an exploration-focused adventure game that, most notably, features the ability to transform into a bird and fly around a world full of floating islands. While a lot of its narrative efforts fell flat, its atmosphere was engrossing and its minimalism was unexpected, at times frustrating but often refreshing. AER is also a gorgeous game and has a lovely soundtrack and solid sound design to support its visuals. What fascinated me most about this game, however, was the potential of the exploration it provided, and what that could have been in a richer game with a narrative that had been able to follow through on its setup. 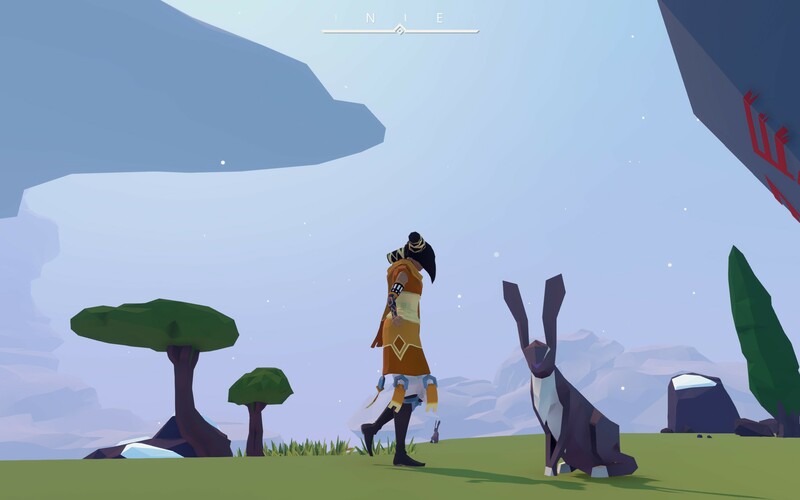 The first thing worth mentioning about AER is that despite having an open world to explore, it has a surprisingly minimalist approach to mechanics. Its boldest choices are what it doesn’t include; there’s absolutely no way to lose any progress, no collectibles aside from the plot-related macguffins (though there are some achievement-oriented secrets to find), and virtually no mechanics aside from movement and light interaction. 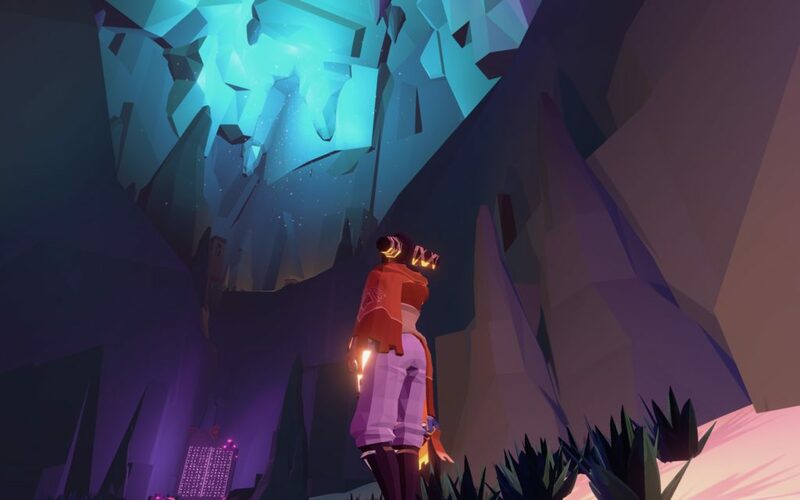 It feels sort of like a marriage of narrative-driven art games like Journey and an explorable open space reminiscent of The Legend of Zelda: The Wind Waker. And it’s really great that it doesn’t feel any need to be game-y. What AER really wants to provide to the player is a beautiful world and an engaging way to move through it. The feel of the game is very focused and the flight mechanic is reasonably smooth, which encourages unfettered exploration. Flight is fast and gratifying enough to make everything free; poking around in some far off corner doesn’t incur the penalty of having to trudge back to the critical path, as it often does in more linear narrative games. The flight mechanics aren’t perfect, but they’re plenty good enough to feel rewarding and pleasant. Since the game also has no real dangers, there’s no risk of frustrating failures while getting used to the movement. The flying in AER is probably one of the strongest and most unique aspects of the game, and goes a long way to augment the beauty of the world and make it worth exploring. In some ways, there’s a certain purity to the exploration in this game that I’ve seen very rarely. The game also has some more enclosed spaces that have some half-hearted puzzle and platforming sections interspersed with narrative, but by and large the game is about exploring its overworld. After the game’s opening moments, it opens up into an undeniably beautiful and photogenic world. I couldn’t stop taking screenshots, even though I knew I wouldn’t be able to use most of them for fear of spoiling the spectacle. These sprawling vistas unfold into a spacious open world that’s really built to be explored. You don’t have a sword to swing or a pouch to fill with coins, and even your objective in the world is cobbled together from brief instructions from NPCs. While it initially bothered me that I’d find numerous small islands with nothing interactive on them, I started to appreciate the fact that there was nothing I really needed to find. There were tiny pieces of narrative, sure, but there wasn’t anything that insisted on being meticulously searched for or collected. Sometimes I found myself landing and walking around on an island just to see what it looked like. It was a pleasant experience to have the freedom afforded by an open world without the nagging sense of missing some hidden collectibles or secrets. It was nice to find things for the things themselves, and not because they made a number go up. But at the same time, my biggest takeaway was thinking about how cool this game would have been if the world had more stuff in it. If the world had had more NPCs to interact with, with side stories to explore (this game does have one or two of those, but they’re easy to miss). A game that justified spending more than a few hours in its world. As it is, the game only takes three or four hours to complete, even at a leisurely pace. This feels like a reasonable amount of time, and I really did respect the minimalism and the resistance to the temptation of adding meaningless collectibles to fill the world. But I wanted to be able to interact with it more. I wanted to do other relaxing things like pet animals or grow plants or save creatures who were hurt. I wanted to have more NPCs to interact with, and more meaningful interactions with them. What if a game with such a good aesthetic and feel could have developed a more immersive and compelling world? And that brings me to the most disappointing aspect of the game. The narrative in this game wants to do several different things, but doesn’t really do much of anything. The game has a few NPCs in a small camp near the beginning of the game that seem to be… all of human existence? And they generally serve to help you find out what to do next. The rest of the story is a strange jumble of spirit animal mythos (the reason that the main character can transform into a bird), legends about the deities of the world, and fragments history from the world before it shattered into floating islands. There’s even a couple of interesting philosophical ideas that are brought up but never discussed. The majority of the pre-cataclysm story plays out via these humanoid figures with dialogue over their head, sort of snapshots of scenes from history (a lot like Tacoma, except freeze frames). Most of their dialogue consists of awkward explanations of what is presumably happening to them at that moment, sometimes barely stopping short of “It sure is terrible that <description of thing that’s happening> is happening!” None of these narrative threads — the mythos, the present story, or the history — really reach any meaningful conclusion or even follow through on their setup. The history sort of fizzles out after a while, the mythos fails to really connect back to the present story, and the present story’s conclusion is anti-climactic (despite still having strong visuals and atmosphere). If any of these had been more focal and more developed, they might have led somewhere more interesting; instead, the game suffers the sort of Empty World Syndrome that video game worlds often do. The place seems to have a history of things that happened, and it technically has a few characters who live there now, but it doesn’t feel real or lived-in at all. For all its effort, AER‘s storytelling ends up spreading itself too thin. Any narrative moments that captured my interest ultimately went unacknowledged or turned into dead ends, and intriguing character designs often went to waste. AER Memories of Old takes a few core design philosophies and truly runs (flies?) with them. It makes a point of delivering a visually and kinetically engaging space that justifies being explored just by being engaging. And that’s honestly an accomplishment that, on its own, makes the game worth playing. The audiovisual and mechanical design of the game are solid throughout and often excellent, and I highly recommend you check this out if that interests you. But the game also has a lot of spaces that could have been filled more, stories that could have been told better, and questions that could have been answered. I applaud the minimalism and mechanical focus, which works to great effect in this game, but I’d also be thrilled to see a sequel that involves a more focused, present narrative, does more to reward the exploration that it so wonderfully facilitates, and makes a world that feels genuinely lived-in and interactive.